Kobas always keep you updated about big feature releases, but improvements are constantly being made to benefit both you and your customers. Our EPoS is a perfect example of this; there are lots of critical features you use on a daily basis, but here are three cool features that may have slipped under your radar. It’s always a minor inconvenience at the end of a meal to work out how much each person owes, but this handy feature splits the amount due for your customers when they are presented with the bill. To do this, simply set the number of covers when setting up a table’s tab. The total cost is then split by the number of covers set, and this figure is printed on the bill for your customers’ convenience. 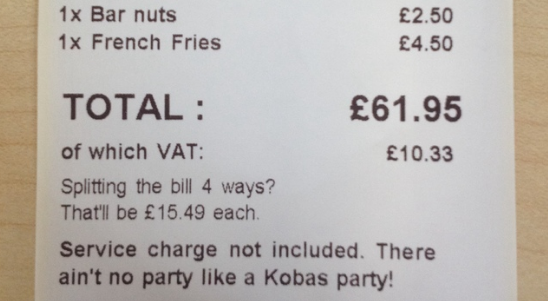 The Kobas Loyalty scheme is a powerful resource for keeping connected with your customers. 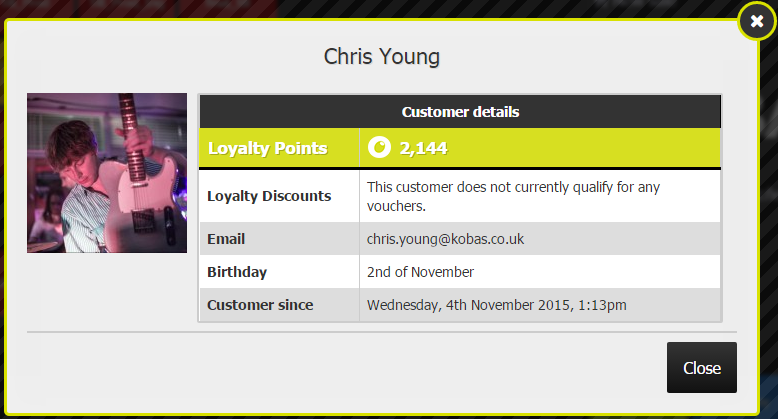 If you are using loyalty currently, then you are probably well aware that you can access customer information through Kobas Cloud. If your customers want to check their points balance or if they have any active vouchers then they can log into the online loyalty portal, but what if they ask a front of house staff member about their account when they are in your venue? When a customer scans their card, their name appears at the top of the basket in a green bar. To see at-a-glance info about the customer’s account, tap this bar. A “Customer details” box will appear, displaying current points balance, any active vouchers on their account, their email, birthday, and when they first signed up for a loyalty account. iPad users may have already picked up on this feature, but emojis can be included in tab names on any Kobas EPoS device. For iPad users, it’s as simple as clicking on the emoji symbol on your iPad keyboard when you enter a tab’s name, but users on a fixed till can enter an emoji into a tab’s name by typing an emoji code (for example :laughing: = ) into the tab’s name. Unfortunately the printers we support can’t currently print the emoji image itself, so keep in mind that the code is what will print on kitchen dockets and receipts. Let’s face it, this one might not have the most practical application for your customers, but it’s entertaining for your FOH staff! These features are just a drop in the ocean of the many ways Kobas EPoS can ensure fast, efficient service, and bring convenience to both your staff and your customers. If you would like to find out more about how Kobas EPoS is the right choice for your business, don’t hesitate to get in touch today!